These children enjoyed investigating with magnets. What do you know about magnets? Do they always attract magnetic things towards them? Think about what magnets are and where you have seen them used in real life. I know about magnets that if you put it upside down then it would force itselfe not to stick but if you turn it around again and you try to get it to stick together then It will stick together. They work when the magnets North and South stick together and they don't always work because if it's North against North or South against South they won't stick. The magnit sometimes they don't stick together because the bottom and top do not stick together and bottom s top nail stick together and the magnit if they dithered it will stick together and small big still stick to together. I know that about magnets that if you turn the magnet around the other magnet wouldn't stick together it will go back woods like it's running away from the turnt over magnet. I know that if you get a magnet and you put a metal thing on it will stick on together. I know about magnets that they are mettle and they are sticky . Magnets, cant stick to all magnegetive things.magnets might be used in real life for getting stuff so you dont have to pick it up. I know that magnets have a north and south but if you put the same its like a north hitting a north and it will like push agans the 2 magnets and not cneckt onto magnets. 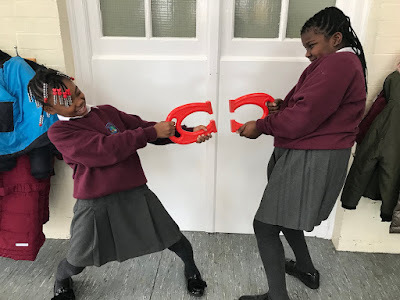 I know about magnets that they are very magnetic.They can stick to things that is magnetic such as 2p or metal.Yes they do always attract when they are close to each other. North and north can not connect to gather but north and south can connect. Magnets aren't that usable But They show How strong they are They could stick to Another magnet And Metal including Phones,IPads,Androids,cans,Cameras But these Magnets Are Strong and healthy And so there made like this ancient Greeks were the discoverers of magnetite. There is a story about a shepherd named Magnes whose shoe nails stuck to a rock containing magnetite.